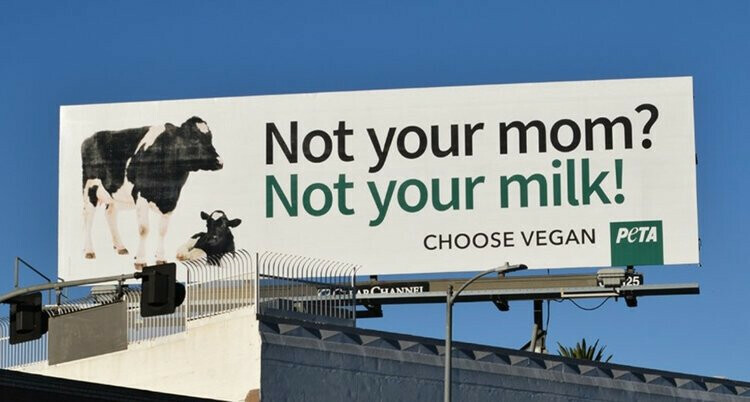 After a train collided with a stuck semi-trailer carrying 36 dairy cows, People for the Ethical Treatment of Animals (PETA) has made plans to build a billboard in Bakersfield, Calif., to memorialize 28 animals that were killed in the crash. According to the California Highway Patrol, the semi-trailer likely became stuck on the train tracks because of the amount of weight the trailer was carrying. The driver of the semi was able to escape before the train collision, but only eight of the cattle survived the crash. In efforts to “pay tribute” to these animals, PETA plans to place a billboard in the area showing a cow and her calf next to the words “Not Your Mom? Not Your Milk! Choose Vegan,” according to a press release. PETA hopes they can capitalize on these accidents by getting fewer people to consume beef and other animal products, according to the company.